Verizon has kicked off its Valentine's Day deals today, and they're pretty interesting. 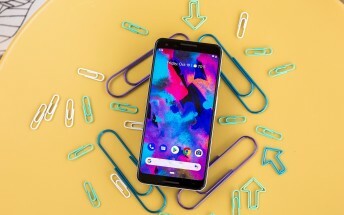 If you want a Pixel 3 or Pixel 3 XL, for example, you can buy either handset for a cool $300 off the normal price. Amazingly enough, no trade-ins or added new lines are required to take advantage of this offer. On the other hand, you'll still need to go with the carrier's installment plan to get the price cut, which will be proportionally deducted from your payments over 24 months. If instead you'd like to purchase a recent flagship Samsung smartphone, like the Galaxy S9, S9+, or Note9, you can buy one and then get $800 off another one. Once again the amount you save ($800 in this case) will be spread out over two years of monthly installments, since you are required to pick those. Additionally, one of the two phones you get will have to be activated on a new line. No trade-ins are required though. The mechanism is the same for the LG V40 ThinQ and G7 ThinQ, it's just that you buy one and then get $750 off the second one.